Join Pakistan Navy in Short Service Commission Course 2018-B. Advertisement for Joining Pakistan Navy in Short Service Commission Course 2018-B is come on today newspaper. 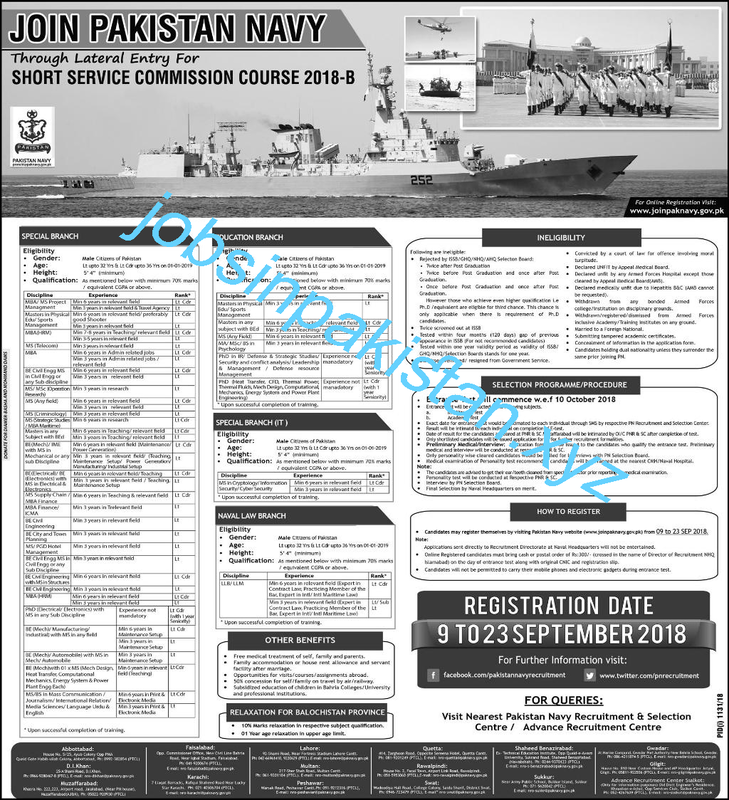 The advertisement and all related information for Join Pakistan Navy - Short Service Commission Course 2018-B is given below.